Bulls jersey looks cool. Lions one is boring. Brumbies one looks so the same as always. Sunwolves one looks pretty good, as does the Jaguares one. I think they have bigger problems, there's something, someone in the support staff/administration that a new coach won't fix. 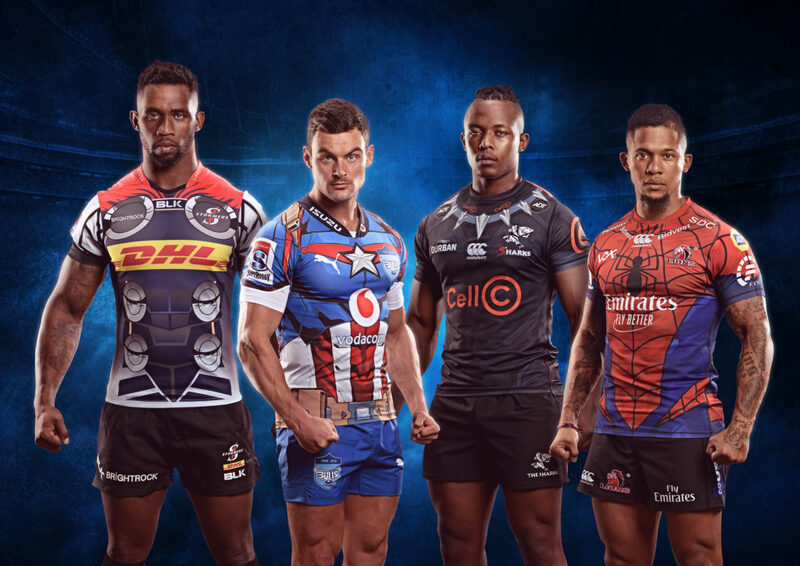 The Cape Town Stadium will host a double-header of Super Rugby pre-season action featuring all four South African franchises. On February 3, the Lions will take on the Sharks before the Stormers host the Bulls. That is a real step down in quality. It isn't possible for a step down in quality from where the were. Wait...this is a joke, right? No, but what I don't get is that SuperHero Sunday is normally a charity event, held globally, where the proceeds are given to children in need. Nowhere is this named a charity event or that money will be given to a children's cause, it is like they are riding on the name. BTW, Marvel has previously supported the 'true' SuperHero Sunday, maybe they will announce later on that money is to go to a children's charity, but the event would have had more traction knowing that it is a charity. Our Unions are so much in debt... They will probably use the proceeds to sustain their own needs and CoCT will also take a cut due to it being held at Cape Town Stadium. It is a rather big entertainment event and dress up, and Multichoice gave away 20k tickets to their subscribers. Michelle van Eyden, Vodacom’s Executive Head of Sponsorship, echoed the excitement for the forthcoming Vodacom Super Rugby season and highlighted the importance of giving back. “Besides the innovation and excitement we will be seeing during Vodacom Super Rugby in 2019, Vodacom is also extremely proud to be associating itself with CHOC,” said Van Eyden. 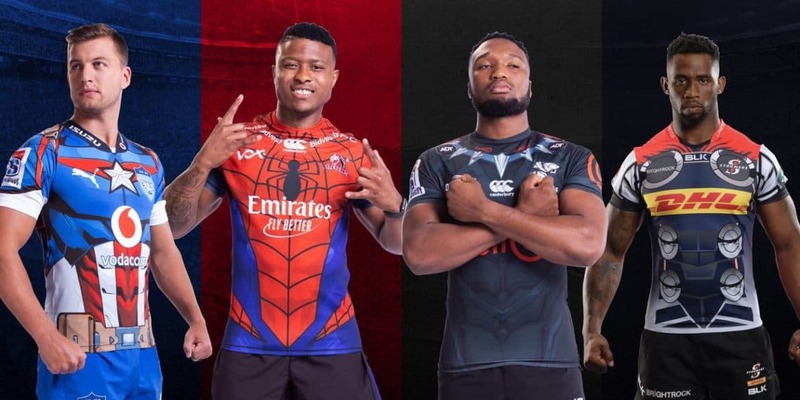 For every tackle made by a South African player during the 2019 Vodacom Super Rugby competition, Vodacom and SuperSport will each donate R50 to CHOC through the #TacklingCancer campaign, with the goal of raising R1 million by the end of the season. Charity begins at home? They can financially help themselves? And I thought those two looked the best! LOL! Uhm, because SuperHero Sunday have always been a children's charity event. This is also not the first time that Cape Town is hosting a SuperHero Sunday event. This is also not by far the first time for Marvel to collaborate in a SuperHero Sunday event. Well I guess it's meant to be entertainment. We don't play good enough rugby to draw on enough sports fans, so turn it into a circus and capture an wider audience. Why not? We draw more than the Aussies and the Kiwis. SuperSport is actually sustaining them, however Sky is also now rivalling SuperSport, which is putting less pressure on the Aussies, Kiwis and Japanese, and broadcasting rights are now a competition on it's own. As you, those with rights have exclusive say in these competitions. It is a cool deal that is now in working collaboration between our local teams and sponsorships. I have already seen some people losing the plot with Wakanda, it is getting really old now.